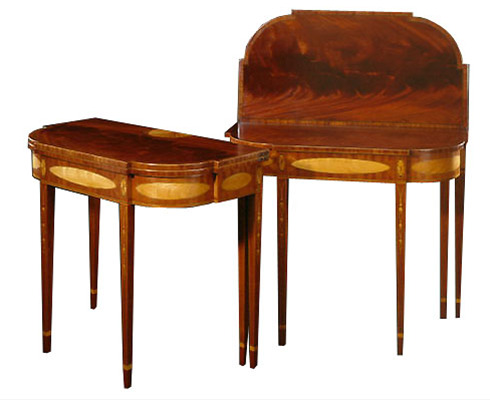 Crotch mahogany veneer card tables in the Baltimore Style Inlays of ebony, satinwood and ribbon stripe mahogany. Inspired by original table in the Clark Art Museum, Williamstown, Massachusetts. Price on request.